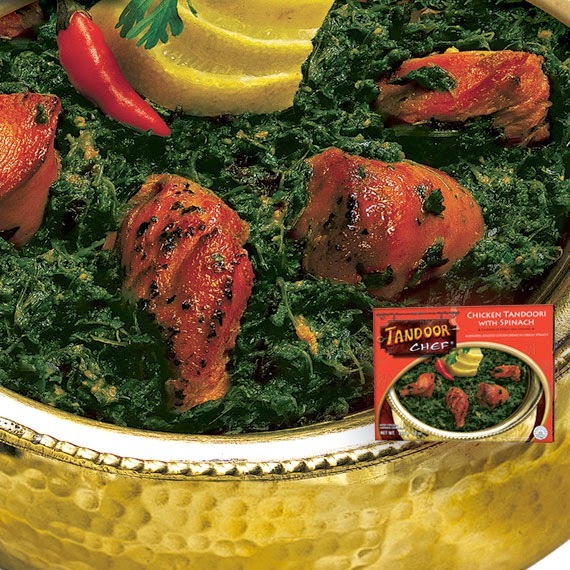 Fitness For The Rest of Us: Tandoor Chef Presents Indian Cuisine at Home! Tandoor Chef Presents Indian Cuisine at Home! We are huge fans of Indian food but we dont have a restaurant really close by so when I was presented with the opportunity to review Tandoor Chef - I was super excited! When I actually tasted Tandoor Chef- I was in love! 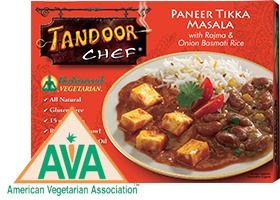 No more driving across town for delicious Indian food- just grab one from my freezer and dinner is served. My husband loves Indian food- maybe even more than I do and he was super impressed by just how good the Chicken Tikka Masala was- he compared it to our favorite restaurant and said "save the drive across town, lets have this from now on." More than saving the drive, save money with Tandoor Chef compared to restaurant prices! 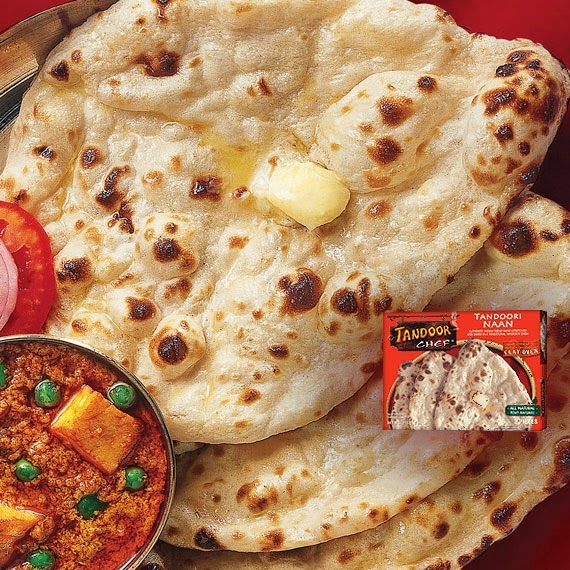 With a full line of nann breads, appetizers, entrees, vegan meals, and vegetarian options, Tandoor Chef brings something for everyone in the convenience of a yummy frozen meal. Perfect for office lunches or a casual weekend lunch with the family. I also love to serve these on rushed weekday nights for dinner. I like to serve them family style so everyone can pick from a few entrees. Here is my menu: One Paneer Tikka Masala - the Chicken Tandoori with Spinach (pictured below) is packed full of absolutely delicious Marinated and tandoori roasted chicken breast, and tons of spinach. With that I serve a Chicken Biryani -full of spiced, boneless chicken prepared with Basmati rice and garnished with sautéed onions. Both contain plenty of veggies so you can feel good about eating a balanced meal. Of course I serve an order of Tandoor Chef Naan Bread, which is available in a TON of varieties including various pizzas -which are perfect for the kids or less adventurous eaters in your house. I love their Garlic Naan personally. I have actually tried many varieties of frozen or store bought naan bread and Tandoor Chef Naan is hands down- the best I have tried. Our dinner starts with an appetizer as well, I love the Tandoor Chef Palak Paneer Samosa: Creamy, spiced spinach and paneer cheese cooked in traditional style; stuffed into crispy pockets. 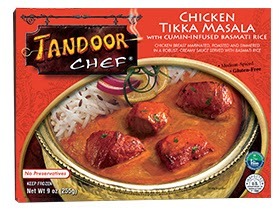 I found all my Tandoor Chef goods at my local Sprouts stores, find a Tandoor Chef distributor near you. They are also available at many Safeway, Kroger, AJ's, and Sunflower markets. Love that they offer plenty of vegetarian and vegan options as well.